Yasmine and Jahan Yousaf, Pakistani-American sisters born and raised in Chicago, make up the popular EDM (Electronic Dance Music) superstar duo Krewella. EDM is recognized by the American music industry as a broad range of percussive electronic music genres produced for dance-based entertainment for nightclubs, raves, and festivals. The sisters have recently made news for being the targets of misogynistic haters after a public fallout with former member Kris “Rain Man” Trindl in 2014, according to Huffington Post. Jahan Yousaf has recently written an Op Ed in Billboard magazine to respond to the attacks against the duo. Here's an excerpt from it: "Both genders suffer inequalities and neither is more important to me than the other, but what I am most knowledgeable about is my first-hand experience of how I am talked about as a woman in the media. I do think it's worth mentioning that Kris was often overshadowed due to the presence of two females. Despite our efforts to give him more spotlight, Kris checked out". At only 25, Abeer Sheikh is coming on strong as an electronic dance music (EDM) DJ and producer with his own trademark sound already established. The genre of music is largely unknown in Pakistan but Abeer Sheikh has been received very well by listeners and musicians in other parts of the world. He is already signed to record labels and appears well connected in places that matter such as Berlin, Toronto, New York and of course in Pakistan. Born in Lahore, Abeer Sheikh began his musical journey at the age of 12 when he started a band with his friends. “Music is my first love and something I never see myself growing tired of. It’s literally my comfort zone or sanctum sanctorum if you will!” he says. After an up-close interview with the talented musician, it’s hard to get a different impression! He had a Beatport top 10 chart topping release “I wanna be like you” on Philip Bader and Nicones label Dantze Records in Berlin -that stayed on the Beatport top 10 charts for a solid three weeks. Only a week following its release, he was signed to Gastspiel Records, Momentum League, Tretmuehle, Budenzauber Records (mostly based in Germany) and Bleep Bloop Records based in Brazil. Abeer Sheikh has also done remixes for Talal & Zoi and has a distinctively original sound that encompasses everything from Chicago House, Deep House, old school disco and techno into one refined package. Abeer Sheikh is without a doubt an up and coming contemporary EDM trail blazer. The Berlin hit-maker talks to Pakistan Today about how he builds grooves, his flare for going into experimental areas with his sound and the utility of technology available at the click of a button that rivals analogue components in any big studio. Q-So how did it all begin and what has changed significantly between the beginning and now? A-I started singing and playing the guitar when I was 12. I was in a few bands and when I was 14 I heard my first Aphex Twin song called windowlicker. That was really when electronic music entered into my aspirations as a musician. It simply blew me away and still does to this day! It was a revelation to realise that I didn’t need a band. I just needed to know the recording and layering process and I needed to know the instruments. So I learnt how to play the piano, drums and began fiddling with synthesisers, learning mostly through trial and error. By the time I was 15 I had two 14 track albums completed that I have never played to the general public mostly because I was an amateur at the time so the quality is low compared to the stuff I do now, having gone to music college and getting an undergraduate degree in music production and sound engineering. Now everything is composed and made with professional industry standard software and the sound quality is at par with the professional standard required in clubs worldwide. I use everything from real instruments to software synths in my music and I’m a huge MIDI fan so I prefer using MIDI to samples so that I can micromanage and fine tune every hit, melody, beat and instrument per my requirements. It gives you a huge array of control that just using samples to make your music does not. So I make my own samples and synths and then use those in my productions. Q-How come you use your real name and not an alias like most other DJs? A-To be honest, I feel my name is unique enough as it is- especially to western people. So I never saw the point in creating an alias or even putting a DJ before my name. I’ve always played as ‘Abeer Sheikh’ and I plan to keep it that way. Last week we started a certifiable shitstorm with our profile of rising Islamabad producer, Talal Qureshi, who made some comments about his competition roughly 1,400 miles to the South in Karachi—particularly the collective known as Forever South. Among several other barbs, Qureshi accused the group of over-sampling old Urdu songs, and making "trippy" music that is over-influenced by hashish and ecstacy. Immediately after the piece was published, Talal took to his Facebook and Twitter to try to save face, saying that there had been a "misunderstanding," and implying that THUMP had altered his interview. We wanted to get to bottom of this he-said-she-said fiasco, so we struck out to learn more about Qureshi's role in the Pakistani scene at large. In the process we encountered an entire scene of young dance music fiends who had previously flown beneath our radar, most of them hailing from the world's third largest city—Karachi. Karachi may be the closest analogue Pakistan has to New York or Bombay, but these days, political violence and organized crime often overshadow its teeming cultural scene. A collective of Karachi-ite beat makers, under the banner Forever South—or FSX for short—are working to change that, with a stacked roster of artists and multimedia events rarely seen elsewhere in Pakistan. FSX duo Treehouse serves brittle, synth-heavy grooves on "Our House," while crew founder Dynoman’s most recent single "Geese Geese" pairs sped-up tabla drums with frenetic melodies and haunted machine sounds. Meanwhile, the crew's younger artists Alien Panda Jury and Toll Crane emerged out of the shoegaze band Orange Noise, and they still play guitar on the side.While a lot of Pakistani EDM fans and producers elsewhere are fixated on the accessible and outdated sounds of candy raver trance and dubstep, what comes out of Karachi is often psychedelic and unnervingly experimental. "A lot of people are promoting bad Punjabi pube-step," says Toll Crane, whose spooky Halloween single "Coy Boys" recalls Nitzer Ebb when Nizter Ebb had balls. We let the collective's members defend themselves against their grumpy Northern cousin, and they told us about throwing warehouse parties, "projection mapping and visual synchronization" and their connections to Istanbul's electronic underground. Forever South co-founders Dynoman & Rudoh, artist Toll Crane, and the man who taught them all how to make music with a computer, Dalt Wisney, all weigh in. Krewella won’t play India’s Sunburn Festival after the duo’s visas were apparently denied due to their Pakistani heritage. 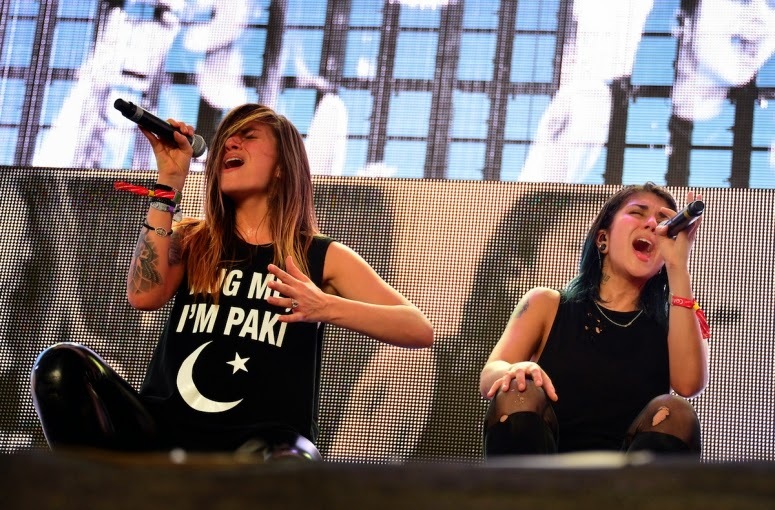 Jahan Yousaf and Yasmine Yousaf, the Pakistani-American sisters who perform as Krewella, shared a handwritten post on social media explaining the visa snafu. The pair, who performed twice in India in 2014, say they’re “so heartbroken” by the situation. According to the Guardian, travelers who disclose a family connection with Pakistan triggers demands for extra information and a long processing period, which can make travel to India impossible. The complicated entry protocols caught out Pakistan Cricket Board chairman Shaharyar Khan last year when he was reportedly held-up by immigration officials at Kolkata airport for several hours after arriving through the wrong port of entry. Sunburn celebrates its 10-year anniversary in Pune on Dec. 28 through Dec. 31 with such headliners as Afrojack, Armin Van Buuren and Axwell & Ingrosso. 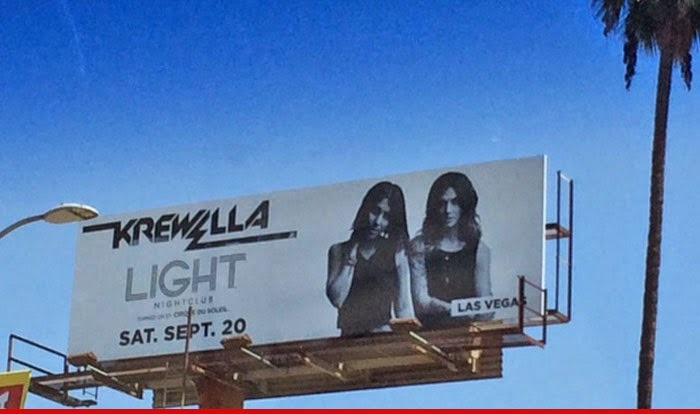 Krewella were scheduled to perform on Dec. 29. Urvah Khan is ready to take over Karachi’s rock and roll scene with her music and her unique appearance! Bearing a look which is very unconventional for a Pakistani woman, she dons a mohawk, tattoos and piercings effortlessly. Urvah’s music style is inspired by the East and West both, according to the band. According to latest news, Urvah is all set to take over Karachi with her band. Khan has been trying to re-discover Pakistan and get in touch with her roots since she came here, as she had moved to Canada at a very young age. Gathering like-minded musicians to start a band in the country, she secured three musicians for her debut performance in Pakistan. opular electronic dance music (EDM) sister-duo, Jahan Yousaf and Yasmine Yousaf (of the band, Krewella), revealed that their recent collaboration with Pakistani artistes for the music series, Coke Studio, was “unlike any other creative experience” they had ever had. Teaming up with Riaz Qadri, a classical music maestro, and his son, Ghulam Ali Qadri, on the platform’s 11th season, this August, the song, Runaway, made waves following its release, clocking up over 2 million hits on Youtube. Having performed at Coachella, Lollapalooza, Tomorrowland, and a number of other concerts, festivals and international tours over the years, Krewella stands as one of the most exciting acts in the international music scene today. Constantly pushing the envelope, the duo has produced a number of hit tracks such as Alive (which climbed its way up to number 32 on Billboard’s Hot 100 in 2013), Somewhere to Run, Killin’ It, Live for the Night, and more. Embracing their European and Pakistani roots, clearly reflected in their music, Jahan states that the band’s trip to Pakistan this summer, was a heartwarming journey.